The Mount Wellington cable car company gets the profits, who cops the costs? The Mount Wellington cableway company offers a dozen "key benefits" for a cable car up kunyani, but the mountain either already has each benefit offered or the “benefit” would come with the cost of detracting from rather than enhancing what is there. The calculations the MWCC make are based on questionable assumptions. 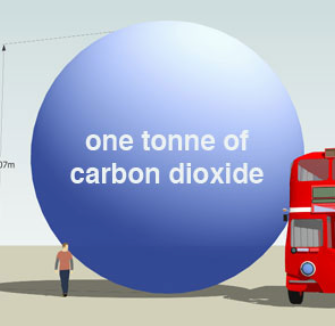 Every bit counts, but the cable car's contribution to carbon reduction is infinitesimal. In 2018 Tasmania became a carbon sink: net emissions are already zero. The photo shows landslip remediation, not road-widenting. There are no plans to widen the road nor are they required or desirable, as the road is mooted for cultural Heritage listing as-is. 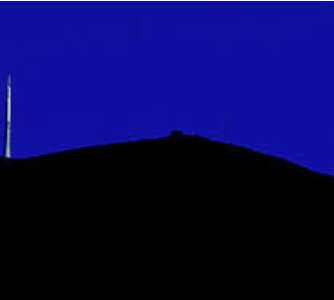 Every one wants the mountain's skyline "restored" but the MWCC has no power to achieve this. The MWCC can not restore the skyline. It cannot fell the twin communication towers or demolish the Observation Deck. It does not own them. The MWCC instead will add to the clutter a "Pinnacle Centre" that is itself three stories high and will glitter night and day. The snow plough is effective, and 4WD buses will operate ahead and around it. As snow falls are increasingly rare road maintenance is a minor issue. Council Workers will still be busy, even if the traffic is less. The cableway caters to tourists but it will not attract them, even the MWCC admits that. Winter has the least conducive weather for the cable car. What Hobart enjoys is a winter break from tourism. The MWCC can not make the sun rise. Over summer the MWCC wants to operate up to 14 hours a day, but the cable car will not start before dawn, will it? The cable car route doesn’t reach any mountain bike trails. The cableway would not provide access to any nearby mountain bike trail. MWCC's proposed "Gravity Track" was shown to be unfeasible and the Hobart City Council decided to upgrade the existing tracks instead. The summit of kunanyi/Mt Wellington is entirely unsuitable for a gliding school or joy-flights and suspended cables and moving aerial buses would create hazards for gliders. Read more. It is illegal to construct non-compliant boardwalks. The MWCC suggests that the existing boardwalks are not compliant, but even if this is true, the MWCC cannot remove or replace them. They do not belong to the company. The MWCC wants you inside, in the shop, in the cafe, in the bar: not outside. It might be dangerous out there! Snowboarding on the mountain is not even marginal, it is rare. The MWCC has no rights over family fun. Without the cableway and Pinnacle Centre there is now and always has been "scenery for all". If anything, the MWCC proposal will take away scenery. It is also a privatisation of the scenery. The cableway would be built on top of the scenery. The MWCC offers the vague promise of proper Interpretation to show that it respects the mountain. An interpretation Centre already exists at the Pinnacle and another is planned for The Springs. Those who respect the mountain do not seek to despoil it. Below its fictitious grab-bag of “benefits” the MWCC outlines the growth in tourism in Tasmania. The MWCC claims that its project would be an economic bonanza, an employment cornucopia, a scheme generating $99 million a year in economic activity—and they have a Macro-economic Report by the respected economist Saul Eslake to prove it. But the MWCC would not release the Report. They quoted from it selectively and added their own spin to it. MWCC chair Jude Franks claimed the cable car would “provide thousands of jobs to generations of Tasmanians”. In 2017 the MWCC’s Macro Economic Report was forced into the public domain and a closer look reveals that a cable car would have a very small net economic benefit to the state—less than 1%. (Hobart's annual tourist economy alone is $1 billion). The scheme's employment potential is "inconsequential"; and the operation could easily be arranged, the Report explains, to avoid payroll tax. Today, using the same assumptions made in the Report, the economic "impact" can be shown to be dramatically lower than boasted—closer to $30 million than $100 million—and, most damningly, it accrues firstly to the overseas contractor and then to the proponent's shareholders. The revenue result, by the way, comes out of a black box. The figures were supplied to the economist by the MWCC's controlling company Riser + Gain. They wrote the revenue figures for themselves and will not release them. The Study assumed that one third of the total economic benefit would come from mountain biking riders. In this, the MWCC relied on a plan by the Hobart City Council to build a downhill track from Big Bend to Cascades: The fabled “Gravity Track.” It should be noted that the MWCC did not agree to fund one cent of this track that they predicted would net them millions in revenue. In 2017 the HCC accepted its consultant’s conclusion that the Gravity Track was totally impracticable and abandoned it. The projected revenue from this non-existent source should therefore be deducted from the MWCC’s predicted project benefits: down $30 million. The MWCC proposal also includes a shuttle bus service from the city to the Base Station. Presently, local tour bus companies and many taxis ferry cruise boat passengers to the summit: their business would become less profitable. Tour operators running day trips to Port Arthur, Boonerong Park and Richmond vineyards etc would also suffer a leakage of customers. To the extent that economic activity simply transfers form one operator to another, the economic activity is not increased. Before the net economic benefit can be established, all economic costs have to be deducted. The MWCC report assumes that the proposal has no costs beyond its construction cost. “No attempt has been made to quantify the loss of amenity” and “The study does not capture environmental effects”. Every project has opportunity costs, but the MWCC economic report hardly considers them either. Brand Loss is also not factored in. It is estimated that these costs would exceed $20M. • Contrary to the MWCC's claim that a cable car will "grow Tasmania’s tourism appeal", the report says “the cable car does not, in itself, drive new demand” and “is unlikely to induce additional demand”. • The mystery of the ticket price can be calculated: it is around $65 for a return ticket. • The statewide employment impact is inconsequential and the impact on structural unemployment is zero. The proponents have frequently claimed it will create 80 jobs, but on the one page where they forgot to redact the figures, the economic report states that the project will employ 51 full-time equivalents. The proponent claims that over 200 jobs will be created during construction, but the report points out that the bulk of these jobs will not go to Tasmanians. "The [number redacted] jobs in constructing the cableway will be mostly high specialised interstate and European staff." • The bulk of the $50 million construction spend will "leak". It will not flow to Tasmanians. Tasmanians will be employed to wreck their mountain, cutting and digging and pouring concrete, but the big money: the cable cars, the high tech fittings and fitters, the engineering fees, the construction steel, the cables, the concrete, the building furniture—the bulk of the spend—will be sent overseas. "A significant proportion of its physical inputs — such as concrete, structural steel and internal fittings—will be sourced from interstate or overseas." For details, see The Voodoo Economics of MWCC. There are many other costs: environmental, natural, social, aesthetic, cultural and spiritual. The MWCC argues that their scheme is an environmental masterpiece. The vision statement talks about "outstanding environmental stewardship". They laud themselves for imagining "the ultimate eco-tourism project" that is "the epitome of sensitive environmental tourism", displaying "outstanding environmental stewardship". They even have the audacity to suggest that their project respects the mountain. Cable cars do offer environmental benefits. They have carbon-reduction benefits. The proponents do not argue this, but cars also emit more than carbon dioxide. They spew into the Park many noxious particles, they drip oil, they deposit rubber and oil and brake lining. They require parking spaces. They require roads. They run over wildlife. Clearing the road of snow not only destroys a perfectly flat snow slope, but adds more pollutants to the Park. A cableway could reduce or eliminates all that damage. For these reasons, some Greens are in favour of a cableway, a point acknowledged by the leader of the Greens, but you must understand her context here. It can also be argued that a cableway's environmental impact would not be great compared to a dam that floods a valley or a mill that decimates a forest or a factory that kills all life in a river. A cable car's direct impacts on the environment is restricted to small areas. The problem is, almost anything can be said to have some positive environmental benefit. Nuclear Power plants have environmental benefits because they reduce carbon emissions. Coal has environmental benefits because a warmer world benefits many species—Siberians would be grateful for some slightly warmer winters. Everything has environmental costs, too. The question is, do the benefits outweigh the costs? The MWCC could acknowledge that their scheme would, over-all, be environmentally destructive, but argue that its other benefits outweighed that cost. No environmental cost-benefit analysis has been done for the project. But even if it concludes that the damage is small and can be ameliorated (which is what such studies always conclude) the impact in other crucial areas is so seriously, even profoundly deleterious that the scheme is fatally ill-conceived and generally undesirable. "Intrinsic value" is the value of something (usually natural) in itself and for itself, regardless of any human value it may have, such as economic value or aesthetic value. Intrinsic value is a mechanism by which threatened landscapes with no human values can be argued for. They have a right to exist as they are. Whether intrinsic values exist is a notion some dispute, but presumably the MWCC thinks they do because they use the term. But the MWCC's use is not only manifestly false but insulting. How can the MWCC possibly build a cable car across the face of the mountain and claim that they are preserving its intrinsic value? The only value that the MWCC sees on the mountain is its scenic value—and, in the terminology of Professor Jamie Kilpatrick, the MWCC intends to "mine" it, to sell it. They intend to appropriate the scene and turn it to their company's economic advantage. As Cassy O'Connor points out on cliffhanger: "Wildness as a value is very fragile. By 2022 there will be three million visitors coming to Tasmania a year. It doesn’t take much to significantly impact on wild values. And I’m not saying the mountain is a wilderness, by definition it’s not because of the level of human impact already, but if you start sticking things like cable cars in it, you greatly diminish its natural values. And that has an impact on the brand of Tasmania." Hobart is the city of eagles. Wedge tails, sea eagles and goshawks live with us. Three threatened bird species call Wellington Park home: a unique sub-species of Wedge-tailed eagle, Swift Parrots (Lathamus discolour) and Grey Goshawks (Accipiter novaehollandiae). The Federal Government’s Coordinated Conservation Plan for Eastern Tasmania notes that many Swift Parrots and Wedge-tailed eagles “die as a result of collisions with overhead wires”. The cable car poses an additional—and unnecessary—threat to these birds in an area put aside for their protection. At the summit, right where the Pinnacle Centre is to be built, live the very remarkable and threatened silky snails. These small creatures are unique to Tasmania and have never been found anywhere except upon the high grounds of kunanyi/Mount Wellington. What is their fate? The MWCC has achieved a grand larceny: a mountain top. Their ideas do nothing for social inclusion—indeed they insult civil society. The proposal requires the compulsory acquisition of publicly owned parkland. This is unprecedented in Tasmania and in setting a dangerous precedent should be of concern to all private landholders. Shelter and refreshments are already built at The Springs: a prime location with great views, access to a network of walking tracks and bike paths, and shelter from the summit’s stormy blast. 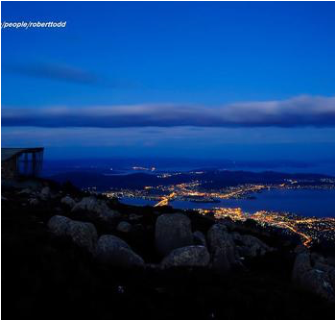 The Mount Wellington Park management Plan acknowledges that the mountain is a very special place and the key to its specialness are its diverse, spectacular landforms. The cableway is attracted to these landforms, but it is itself a crude and ugly imposition, an affront to the land. The MWCC proposes to furnish a public interpretation centre at the Pinnacle "to ensure the fascinating story of the cultural healing to stem from our venture is not lost on future generations". This is one of the most bizarre statements released by the MWCC. How this proposal heals anything at all in unclear. The head of the tourism industry in Tasmania offers an opinion piece on The Burning Question of the threat of climate change to Tasmanian tourism (Luke Martin Mercury December 29, 2018). Research by the University of Sydney published in Nature Climate Change recently revealed that tourism worldwide is responsible for almost 10 per cent of the world’s greenhouse gas emissions. The planet is hotter because of tourism. There is less beach, less rainforest and less wildlife this year because of tourism. And there will be less next year, partially because of tourism. Tourism is a withering threat to tourism. In his piece, Martin cites ski-fields as an example, writing “In NSW operators have been forced to rapidly adapt to shorter and less reliable snow seasons.” The Sydney Uni study makes the same point: “as temperatures rise snow and ice become less reliable in places that depend on them to draw tourists—such as ski resorts and “winter wonderlands”. That all-season access is not required for one season, and a cable car is not the only way to access the mountain in winter are nugatory against the blindingly obvious situation of snowfields, snowfalls and snow play decreasing everywhere in the world before our eyes.